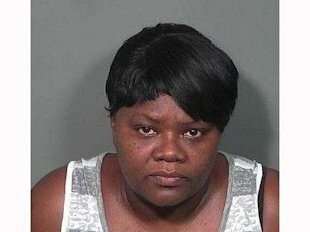 Gloria Elzy, 44, has been charged with cruelty to juveniles. (Newser) – A 5-week-old baby in Slidell, La., is only alive today because somebody noticed the child in the backseat of a car outside a strip mall Monday afternoon and called 911, police say. A police officer used a device to unlock the vehicle and rescue the unconscious infant, who was sweating profusely after spending more than half an hour inside the car, where the temperature was around 130 degrees, the AP reports. The baby made a full recovery in the hospital and the mother is in custody on a charge of second-degree cruelty to juveniles. Police say the mother forgot the infant in the back seat after dropping off her other child and was in "complete shock" when she realized what had happened.